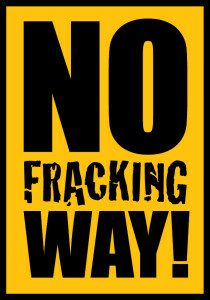 There are now two towns in Western Australia to declare themselves fracking free zones, where fracking activities are not welcome. 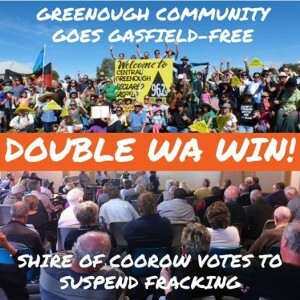 Earlier this week the town of Greenough declared itself frack free and now they have been followed by the Shire of Coorow. On Wednesday Coorow councillors unanimously backed a request to put a hold on all fracking work at energy company AWE’s Drover-1 well. The request was submitted by residents from the local Green Head and Leeman communities. Of course it drew the usual responses saying fracking is a ‘safe’ process and doesn’t need to be put through rigorous environmental assessment, despite our aquifers being at risk. But neither the process of injecting high pressure chemicals into the earth, nor the resulting escape of methane is safe for our environment. Methane is far more potent a green house gas than carbon dioxide in the immediate term, and fracking wells are notorious for creating methane leaks. 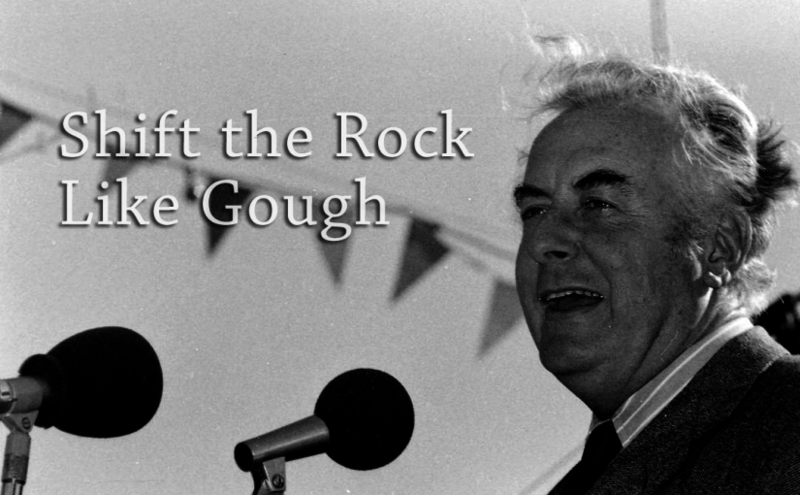 I stand with the peoples of Greenough, Green Heads and Leeman in their fight to prevent fracking in Western Australia. WA Farmer’s fear for livelihood as fracking moves in. Farmers in the Green Head area of the Perth basin, south of Geraldton, are worried about their water supply. Gas exploration company AWE is pushing ahead with plans for Western Australia’s first hydraulic fracturing (fracking) project to extract ‘shale’ gas. Local resident Peggy Hodgson has been farming in mid west since 1960s. She has fought to keep her drinking water safe from mining companies for decades, and will continue that fight now in her retirement. “Our water supply our water quality and our water quantity. All of it is under threat should anything go wrong with the fracking and the boring that’s going to go on out here” said Peggy. The Department of Water confirmed that the AWE project will drill through the same aquifer that supplies the town’s drinking water. Department of Mines and Petroleum spokes person Jeff Haworth says the the Perth basin is “by far” the most likely fracking project to go ahead. 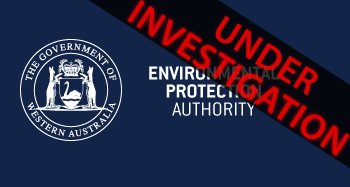 Posted on August 11, 2014 August 11, 2014 Categories Activism, Australian Economy, Australian Politics, Blogging, Environment, PoliticsTags #100daysofblogging, #day71, AWE, Fracking, Green Head, Hydraulic Fracturing, Jeff Haworth, Mid West, Peggy Hodgson, Perth, Perth basin, water, Western AustraliaLeave a comment on WA Farmer’s fear for livelihood as fracking moves in. The Lock The Gate anti-fracking alliance created this important documentary about the dangers of fracking and the people whose lives have been affected by it.